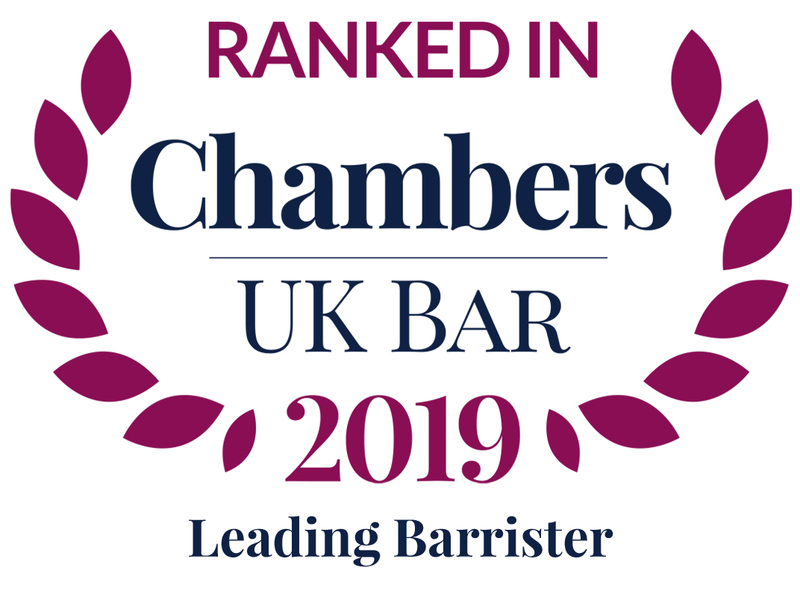 Richard Furniss has more than 20 years’ experience of clinical negligence, personal injury, and solicitors’ and other professional negligence. He is an expert in medico-legal work, has appeared in innumerable inquests, and has wide experience of judicial review and Court of Protection matters, especially where they concern medical issues. He has always acted for both claimants and defendants in all areas of his work. He is straightforward and firm, but pe rsonable and sympathetic with lay and professional clients. He brings an imaginative approach to cases, but is sensible and realistic when advising. Richard was educated at Downing College, Cambridge, and called to the Bar in 1991. Richard is a well-known specialist in medical law, and has vast experience of all aspects of clinical negligence and personal injury work. He acts both for claimants and for defendants. His clinical negligence cases have encompassed almost all aspects of that area of work. He is regularly instructed in cerebral palsy and other catastrophic cases, and has been sole or junior counsel in very many cases worth in excess of £1 million. Widely known for his extensive experience acting on behalf of both claimants and defendants. He routinely handles cases concerning cerebral palsy, as well as a range of catastrophic injury claims. He is also renowned for his personal injury advocacy. Richard’s Court of Protection work is largely but not exclusively ancillary to his main specialism in medical law. For example, he acts for NHS Trusts, individuals and the Official Solicitor in cases where the court is asked to determine what medical treatment is in the best interests of a patient who lacks capacity to give or withhold consent. He also has experience of deprivation of liberty cases, especially where there is a dispute over medical issues, often concerning elderly people who are said to have lost capacity due to age-related dementia, but also those who are being held securely in hospital. Richard has enormous experience of all types of inquest and coronial law. He has acted in nearly a hundred Article 2 inquests, especially those concerning deaths in prison, including the inquests into the deaths of Gareth Myatt, Michael Bailey, Wayne Reid and Aleksey Baranovsky. He has also acted in innumerable inquests arising from deaths in hospital and concerning the adequacy of medical care. He represents both the families of the deceased and doctors/NHS Trusts. He acted for London Air Ambulance (Bart’s Health NHS Trust) in the inquests for the victims of the London 7/7/05 bombings. Richard is especially well known for his ability to tackle complex medical issues (and has particular experience of positional asphyxia cases). As a specialist in medical law, Richard has experience of various aspects of judicial review, but is particularly well-known for cases which involve medical issues. Frequently, these arise in the setting of a prison or other secure establishment. T v Foster and others – RTA causing brain damage to a 16-year-old – settled for £3.75 million after discount for contributory negligence. Gunn v Essex Strategic HA – Community midwife negligently failed to diagnose meningitis in new-born baby – child survived with brain damage – damages £1.7 million. M v King’s College Hospital – Wrongful birth after hospital failed to discover genetic abnormality – child born with lobar holoprosencephaly – liability admitted shortly before trial – quantum ongoing. O v Queen Mary’s Sidcup NHS Trust – Cerebral palsy as a result of perinatal hypoxia – liability admitted during proceedings -quantum ongoing. We are delighted to announce that Tina Cook QC and Richard Furniss have been appointed Joint Heads of Chambers as of 29 February 2016. We would like to record our thanks to Frank Feehan QC for his many years of support as Head of Chambers as he steps down to focus on is practice within Chambers.